Atilla and his beautiful eyes! Maverick’s growing up so fast! Paradise Pet Care (PPC) offers the best personalized in-home pet sitting and dog walking services in San Diego. We offer the highest levels of fun, safety and service for your furry family members. 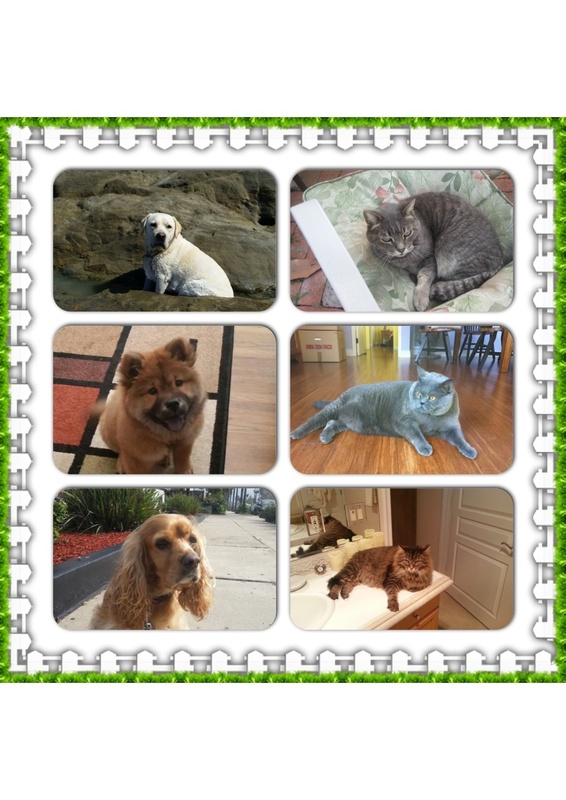 All of our pet sitters are very experienced in working with various pets. We all are great with dogs and cats, but we also have sitters who specialize in bird, rabbit and rodent care. We even offer plant care. Our team is very knowledgeable, and we all believe that the safety and comfort of your pets is our top priority. If you are at work or on vacation and you entrust your pets to Paradise Pet Care, rest assured that they will be well taken care of and loved. We truly love your pets! The Paradise Pet Care team provides care for your pets in the safety and security of your own home. We go above and beyond to make sure your pets are well cared for with minimal changes to their routine and we reassure you that while you are away you do not need to worry about your pets. We will even provide you with a nanny cam during your vacation. Our team of professional pet sitters is experienced and reliable. We do thorough screening, interviewing, background checks and reference checks for all of our sitters. We are bonded, insured, trained in Red Cross pet first aid and CPR. We also offer online scheduling and automated billing for your convenience. We currently service La Jolla, UTC, Carmel Valley, Bird Rock, Pacific Beach, Clairemont, Bay Park, Mission Beach, Point Loma, and a few other areas in Northern and Central San Diego. Don't hesitate to contact us if you live in a different part of San Diego, we might be able to drive out your way. You can trust that responsible and loving caregivers are providing exactly the services you request. We use the latest technology to reassure you that our pet sitters give your pets the highest care they deserve. Our pet sitters use GPS check-in and check-out tracking, so you always have confidence that your pet is well taken care of. If you want to watch, talk to or even treat your pet yourself while you are on vacation we will be happy to rent you the pet-cam that allows you to dispense treats remotely. Making sure your pets are safe is our #1 priority. All of our sitters are experienced, trained, bonded and insured. If you would like to see what others have to say about us, please check out our reviews on Yelp and Google. We accept appointments 365 days a year! And we do our very best to accommodate last-minute requests. Through our State of the Art scheduling software you can have your own customizable customer portal with your own images and text. You can log in and request new services, view invoices, update your information and much more! We will send you email confirmations when new services are scheduled. Paradise Pet Care offers the most complete in-home pet service on the market. Your pup will enjoy his/ her exercise in your neighborhood or your local park during a visit with a PPC caregiver. Some of our pet sitters enjoy running, so if you have a dog that would like extra exercise we’d love to help you keep him/her in shape ($5 extra fee for running applies). The rates below include up to 2 dogs in your household. $5 charge will apply for additional dogs. Some pups walk better in a pack and enjoy their walk much more. If your pup is a social butterfly and we have another pup nearby that enjoys walks with a canine friend, we are able to offer you a discounted rate of $22 for a 45 min walk and $28 for 60 min walk. We do not walk more than 4 dogs at a time. Group dog walking is not guaranteed, and is based on the availability of other dogs in your neighborhood. Your pets will enjoy the comfort of their own home while being cared for by the nicest animal lovers! Our caregivers will feed, give lots of love and clean up after your pets during their visits. We have a few cat whispers on the team, so you might be surprised when your shy cat ends up purring for one of our sitters. We also offer complimentary services like mail and newspaper retrieval, weekly trash/recycling bin take out and watering plants. If you’d like to rent a pet-cam, we offer Furbo for $10 per day. 15 min visit is not allowed for dogs that need to be taken on a walk (unless the dog is ill or elderly). There is a $5 fee per pet for additional pets above 2. *$2 more per visit outside of 92109 and 92122 zip codes. $7 holiday surcharge per visit, $10 per overnight on Thanksgiving Day, Christmas Eve & Christmas Day, New Year's Eve and Day, and 4th of July. Some pets prefer more attention and do not like sleeping alone. For these occasions, we offer house-sitting in conjunction with pet sitting. Our overnight stay includes a potty break before bedtime, a morning feeding and a half an hour walk. Your pets will receive dedicated attention to make sure they have a good night's rest so they miss you a little less. We stick to your routines and your preferences. If your pet likes to sleep in bed with you, more than likely he/she will be able to cuddle in bed with our caregivers. We know we cannot replace you to your pet, but we will do everything possible to make your absence for them less noticeable. Our overnight stays are 12 hour shifts, and we try to accommodate your pet's routine. Midday walk is offered at a discounted rate (see vacation pet sitting fees). For no extra fee during the visit our professional staff will ensure your pet receives the extra care they need, including any medications that need to be administered or special feedings. If you need us to cook a meal for your pet, do not hesitate to ask during a meet-n-greet. Provide ingredients and instructions and we will please the pickiest of the eaters. At least 30 - 45 min visit will be required for special needs pets. Need dog food, treats or other pet supplies? Just provide your caregiver with a list of what items we can deliver to your home so you don't have to make any extra trips to the pet store. Concierge services can cover just about anything you can think of – picking up your dry cleaning, taking your pet to their vet appointment or a groomer, filling your refrigerator before you come home from vacation or even mailing some packages at the post office. Your pets are our main concern, but anything we can do to help you while your pets are in our care is why we consider ourselves a true one-stop shop. Pricing is the same as during the extended stay. Errands should be kept within 5 mile radius, otherwise extra mileage fee may apply. Some of our pet sitters are able to host your pets in their homes. Day care services are also available if your dog gets along with other dogs. Boarding is provided on a case-by-case basis, and you are able to do a meet-n-greet at pet sitter's home if you choose to. Availability is limited but if you book in advance we will more than likely be able to accommodate you. Day care is $40, boarding Sunday - Thursday, $69, and $79 on Fridays and Saturdays. Mira, the owner and founder of Paradise Pet Care, LOVES pets! She is originally from Ukraine, but has lived in the US since 1998 and now considers San Diego her home. She grew up with a wide variety of pets – dogs, cats, bunnies, hamsters and even chickens! After graduating from UCSD with a Masters in International Relations in 2009, she decided to stay in San Diego working for an alternative energy startup and Home Buddies pet service. Her love for animals inspired her to start her own pet care company. This is how Paradise Pet Care was born in 2014. She loves the opportunity to always be around animals and working outdoors. With so many beautiful beaches and parks in San Diego, this career is unbeatable. Sandy has been walking dogs, taking care of cats, birds, fish and turtles since moving from Massachusetts to La Jolla in 1999. In addition to loving and caring for pets, Sandy had an exciting career as a sportswriter at the Worcester Telegram & Gazette in Worcester, Massachusetts where he covered the Boston Bruins, the New England Patriots, Super Bowls, World Series and NCAA basketball Final Fours along with high schools and college games. Sandy has been able to continue his sportswriting career here in San Diego, where he is a freelance reporter for the Associated Press and MLB.com as well as working for the La Jolla Patch.com. Alana relocated from Seattle to San Diego in 2013, where she lives with her Mom and helps to take care of the family's adopted 17 year old chihuahua and 8 year old toy rat terrier, who are definitely Alana's fur babies! Alana has just over 20 years experience with pet sitting and dog walking, and as an avid outdoor lover, she truly loves being able to continue her position with us caring for pets in sunny Southern California. We are excited to have her on the team as she also runs a side solo business organizing and detailing homes, so if you're lucky to have her as your sitter you will not only find your pets well loved and happy, but your home will be shiny and bright too! Christina, California native, is the busiest pet sitter on the team. Dog walking, cat sitting, bunny petting and even reading to birds became her full time job. She is a part-time student at Mesa College but her days are filled with many hours of exercising dogs and petting cats and bunnies. She is very passionate about all the animals she works with and your pets will quickly start considering her their best friend. Lauren is originally from Arizona. She grew up with various pets and has a true passion for animals. Working full time for TMobile she realized that something she lacks the most in life is being around pets. She has a dog back home who she misses tremendously since she couldn’t bring him with her to San Diego. Getting a job with Paradise Pet Care filled that void. Pamela has a lifetime of animal experience, and love of the outdoors—all from summer's spent on her grandparent’s farm. She married a San Diego native in 1990, and is the Design Coordinator, and Brand Manager @ La Jolla’s JMA Industrial Design Office. She returned to pet sitting because it’s an activity that inspires and enriches her life. She specializes in loving care, and spoiling your pet. Pamela has a keen eye, and takes beautiful photos of your pets. She transforms these photos into an exclusive illustration just for you. She is reliable, charming, and creates a memorable pet sitting experience. Discover the secrets of Pamela’s magic, book Pamela@ Paradise now. Sarah is a So Cal girl, with the exception of spending a few years in Wisconsin. She grew up in Garner Valley, near Idylwild, on a large ranch. She had all kinds of animals including horses, dogs, cats, chickens, geese, guinea pigs, rabbits, pigeons, and more. She grew up riding and training horses and competed in rodeos doing barrel racing. She has always had multiple dogs of all different breeds. She has a background in the medical field and worked in a few internal medicine offices, and while living in Wisconsin she worked as a nurse in a fertility clinic. She enjoys working with both people and animals. She moved back to La Jolla from Wisconsin about three years ago and now has a whole new appreciation for the weather! She is back in college to earn her BS, so Paradise Pet Care seems to be a perfect fit with her schedule and she is excited to have lots of great pets in her life as for the first time in her life she doesn't have one of her own living with her. She looks forward to meeting you and your pets, if she hasn't already! I became a dog sitter because I have always loved dogs my whole life and grew up with a few Labradors through my childhood. I am extremely passionate at what I do and gives me so much joy when the dogs are having fun with me. I am also very active and love outdoor activities such as running, hiking, playing soccer, and going to the beach. I currently do not have any pets so I will treat your pet like it's mine and take them everywhere with me! I helped my Dad puppy train Labrador's to become service dogs. Heidi is a native San Diegan and loves living the healthy lifestyle of southern California. Though her main role at PPC is scheduling and being right-hand woman for Mira, she is slowly picking up more and more pet siting jobs, can't resist our furry charmers. When she's not scheduling or pet-sitting, Heidi enjoys staying physically active, teaching yoga, baking delicious goodies for friends, and planning her next trip abroad. You can often find her looking to pet and cuddle cats roaming on the street. Steph is originally from New Jersey, but no place can beat amazing San Diego weather so now she considers herself Californian. She is a cat owner, and in the spring of 2016 started her relationship with Paradise Pet Care as a client. She currently helps PPC with some admin tasks so you may see her name on the emails or receive a text from her. She is also one of the busiest pet sitters on the team, since she truly loves animals and can’t get enough of them in her life. Taking care of all your fur children is something that she is great at and really looks forward to! I'm Tara Brennan and I have grown up with dogs and cats all my life. I would play, walk, and take care of them. I have gone on over 100 walks with Wag before coming to Paradise Pet Care. In the past 8 years I have dog and cat sat for my sister and loved it. I live in South Mission Hills in San Diego and am thrilled to take care of your pets! I was born and raised in beautiful Karpathian mountains in Western Ukraine. By the age of 25 I was done with university and military service and then I got a “travel virus” and started to circumnavigate the Earth. I spent many years in Ireland where my two beautiful daughters were born. On my way to Costa Rica from Canada I stopped in San Diego and wasn't able to leave. Currently I teach music at the local Ukrainian school and give private guitar lessons. I live yoga life style and through Paradise Pet Care I get to enjoy taking care of many precious animal-friends. Please make your reservations as soon as you know your travel dates, but at least 24 hours prior to your desired service date. If it is less than 24 hours, we will do our very best to accommodate your needs, but we cannot guarantee availability of our sitters. Payment is required upfront (either at the time of booking or before the service can start). We can bill you later for any additional services that need to be added to your reservation. If your schedule changes, Paradise Pet Care will give you a credit for service paid for but not rendered if you contact us more than 24 hours prior to your service. $20 cancellation fee for visit reservations cancelled with less than 24 hours prior to scheduled service, and $50 for overnight and boarding bookings cancelled less than two weeks prior to scheduled service. $8 if the key pick up/drop off is scheduled outside of meet-n-greet. Please provide us with 2 copies of the key during our first meeting. Before the services are completed let us know if you'd like us to hold on to your keys, to leave them on site, or if we need to schedule a drop off. You are always welcome to mail or drop them off before the services start, and pick them up yourself free of charge. We are proud to offer 10% package discounts to our dog walking clients who want to book regular daily walks during the week. This discount doesn’t apply to vacation visits. We also offer discount to military, firefighters, police officers, teachers (K-12) and animal rescue employees and volunteers. We are grateful for all your hard work! Precious Petcare works under Paradise Pet Care umbrella and services Central and East San Diego. Leila, the owner, and her team are all about taking exquisite care of your precious little fur babies and provide the same level of care as Paradise Pet Care team in the Coastal areas.